Blooms News: We're Featured on InStyle, Bustle, SheFinds and More! When we aren’t helping soon-to-be brides and grooms or floral designers choose the best blooms for their wedding or event, we love sharing our insights and tips! 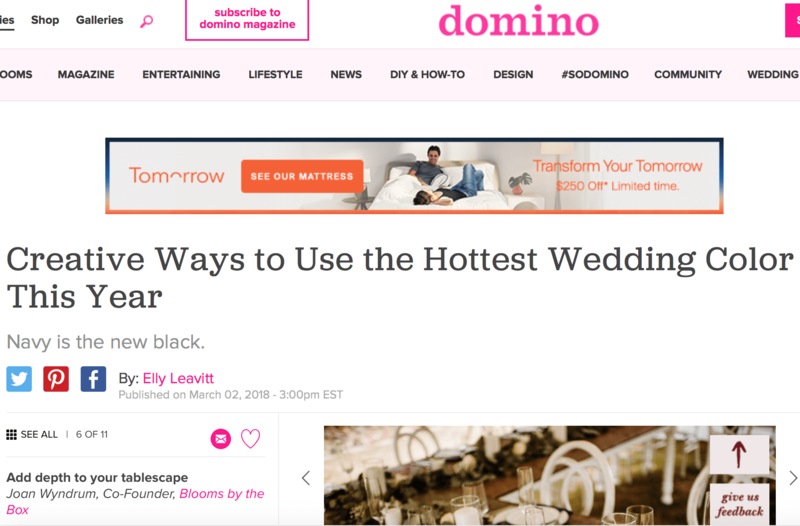 Recently, we worked with our friends at InStyle, Bustle, SheFinds, Domino, and The EveryGirl on a few different, trendy subjects that we think you’ll find essential when planning your big day! 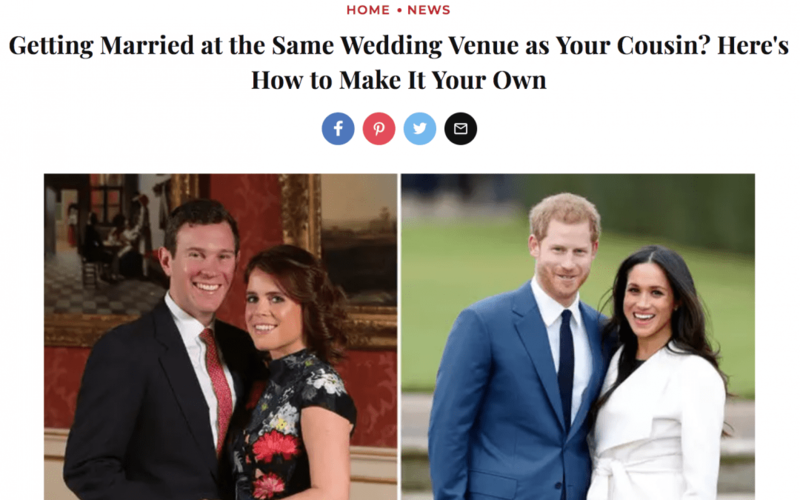 You know how to customize your wedding to make it uniquely you, but what do you do when someone close to you is getting married at the same venue? Our very own Danielle shared a few of her tips with InStyle in their article, Getting Married at the Same Wedding Venue as Your Cousin? Heres How to Make it Your Own. Danielle suggests having a dramatic floral statement as a first impression and incorporating hanging arrangements at the reception are two of best and easiest ways to customize your floral design. With each of these additions, you’ll be sure to create your own wedding experience from the “I do’s” to the send-off! Get more great ideas by reading the full article here. When it comes to wedding trends – we know the latest and greatest, but there are some traditions we just can’t stay away from! 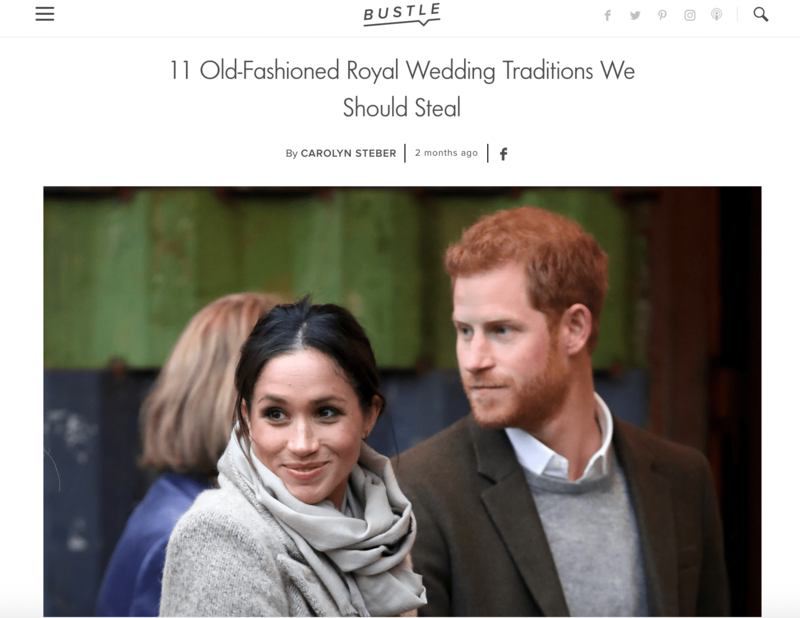 Bustle wrote an article on 11 Old-fashioned Royal Wedding Traditions We Should Steal, and we are excited to be a part of it! Even though Prince Harry and Meghan are a modern couple, the Royal wedding will have many traditions that date back hundreds of years. If you’re a royal enthusiast, you might want to read Bustle’s article and view a few traditions that would be fun to steal for your wedding day! 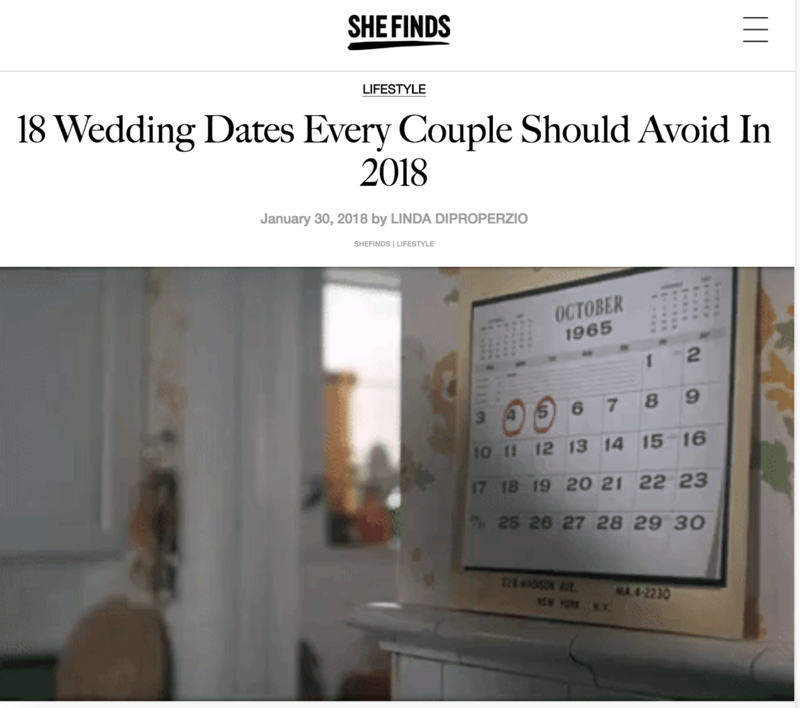 One of the most common questions newly engaged couple get, “When are you getting married?” Choosing your wedding date is a big decision, and we worked with SheFinds create their article, 18 Wedding Dates Every Couple Should Avoid in 2018. If avoiding a big price tag for your wedding flowers is apart of your budget, then you’ll want to avoid getting married on Mother’s Day weekend. This weekend is a favorite for many popular flowers and colors, and prices tend to increase because of these two factors. To read which flowers and colors you might want to stay clear of if you are getting married during that weekend, browse here. Want to know the hottest wedding color trending for to 2018? It’s navy! We recently shared out tips with Domino on the best creative ways to incorporate navy into your wedding decor. Joan, our Blooms by the Box co-founder, suggests working with an all-natural table with wooden finishes and fresh greenery can are elevated by adding a deep, luxurious navy napkin. To get more helpful tips and to see the full article, browse here. 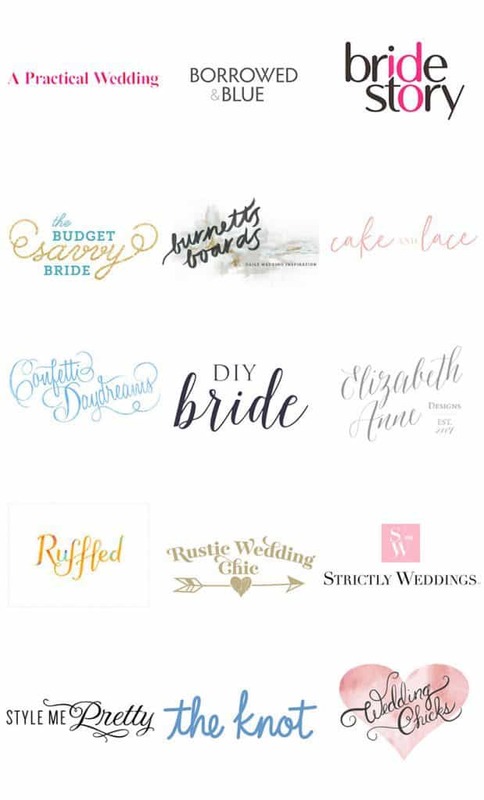 We love Pinterest, but it can be overwhelming when it comes to researching all of the top wedding trends for this year. 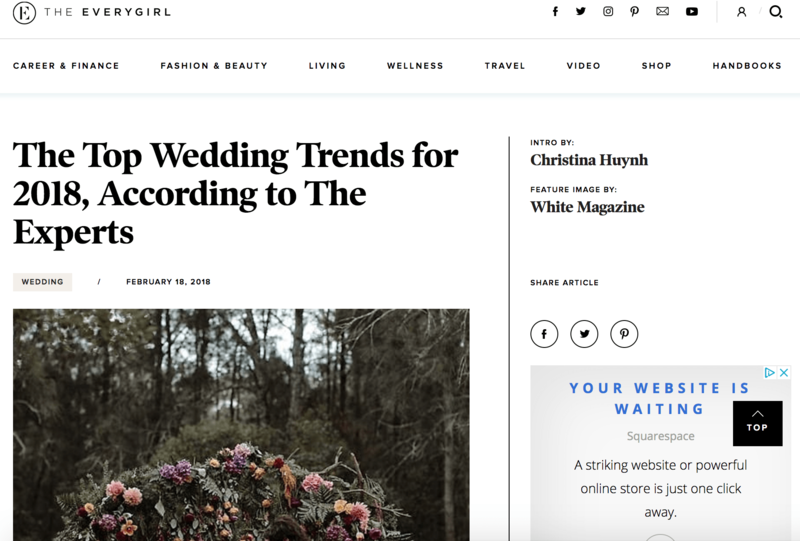 That’s why we wanted to share our tips with The EveryGirl in their article, The Top Wedding Trends for 2018, According to the Experts. Geometric shapes are one of the biggest trends for 2018, and we love the idea of using hexagon terrariums or lanterns to a host succulent arrangements! When it comes to types of flowers, it’s going to be all about dahlias and spray roses. Both of these flowers come in a wide variety of colors, and are incredibly versatile in the number of ways you can incorporate them from boutonnieres to centerpieces! They’d even be perfect in a single, showstopping flower installation together to work another trend into your big day. Read the full article here.